Drag-and-drop a file having a .vcs extension into the main window. VueMinder can import from vCalendar (vcs) files. This file format was the predecessor to the current iCalendar (ics) file format and is very similar. 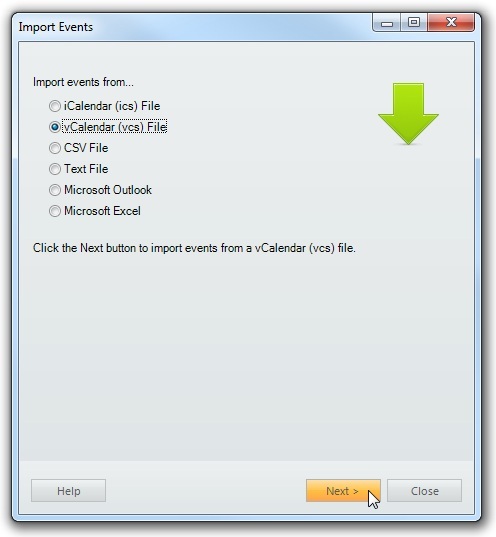 See Import Events From iCalendar (ics) File for details.